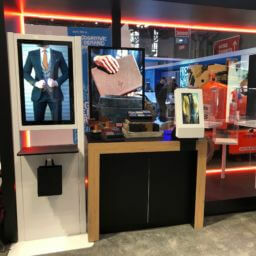 Aberdeen, NC – March 21, 2019 – Meridian, an industry-leading kiosk manufacturer and software developer recently showcased their off-the-shelf interactive digital signage software solution, InterAct, along with some of their kiosk hardware at the annual North Carolina Main Street Conference. 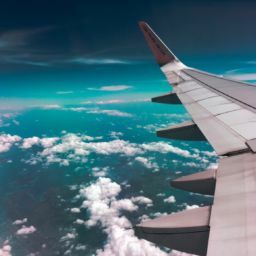 This year’s conference was hosted in Salisbury, North Carolina. 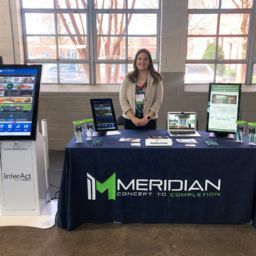 “Cities and towns of all sizes and geographic locations can use InterAct to engage both visitors and locals with information on local restaurants, shopping, lodging, attractions, and events,” said Meridian’s Marketing Director, Stephanie Mewherter. Held in a different North Carolina small town every year, the three-day event is put on by the NC Main Street & Rural Planning Center, registration is open to anyone interested in learning about downtown economic development. In addition to Meridian, exhibitors at this years’ event ranged from companies offering city planning and land design services, to wayfinding solutions, architecture firms, and utility providers. This year’s event attracted more than 700 attendees. 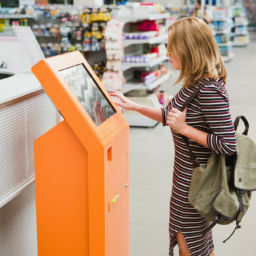 To learn more about Meridian’s interactive digital signage hardware and software solutions, visit meridiankiosks.com/solutions/digital-signage or email sales@mzero.com.